Calculating the type of home you can afford is one of the biggest questions many homebuyers have. Getting to that answer involves several factors. 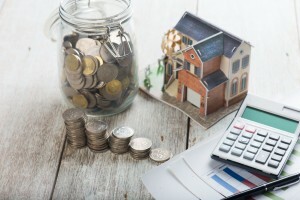 Your income and liabilities, what you can put forward as a down payment, and the particulars of your loan will all determine the kind of home and type of loan you purchase. If you want to find out what your possible monthly payment will be, our mortgage calculator can give you a quick estimate, but here’s a breakdown of the major factors that determine those numbers. The first order of business in calculating how much you can afford is calculating your household’s income and expenses. Wages, salaries, and tips are often the biggest contributors to income, but don’t forget miscellaneous revenue streams such as investment income, royalties, or alimony payments you might receive. On the other side of that equation are expenses and liabilities. Student loans, car payments, or other debt are also totaled up. Once you know your monthly and annual income you’ll be able to calculate your debt-to-income ratio, or DTI. Your DTI is determined by dividing your monthly debt by your gross monthly income. A lower DTI is better, and around 20 percent DTI is considered excellent. Your credit can also factor into the type of loan and interest rate you eventually qualify for. The larger the down payment you can put toward a new home, the better a position you’ll be in when purchasing one. While conventional wisdom is that down payments should be 20 percent of the home’s value, many homebuyers put forward less than that. While a large down payment is still considered positive, homebuyers today can take advantage of a variety of programs and loan options for smaller down payments. Size isn’t the only relevant feature for your down payment. That money should also be sourced and seasoned. “Sourced” means that you can show where the money has come from, and “seasoned” means that it’s been in that account for at least 60 days. Tax refunds are an exception, though. Tax refunds can be an excellent down payment because they’re already considered sourced and seasoned. You can use them to purchase a home as soon as they arrive. Where you want to live is going to have a huge impact on how much house you can afford. The availability of local housing stock, the demand for homes in the area, and local property taxes will all factor into what kind of home you can afford in a given area. If you’re moving into a condominium or subdivision, fees for a homeowner association could also apply. Your broker will assist you with expertise about local housing trends, local regulations, differing prices in given neighborhoods, and possible future changes in the housing market that you can use to your advantage. The loan’s principal is the cost of your home itself, minus your down payment. The interest you’ll pay on your loan is determined by your own financial situation, the amount of down payment you can put forward, and current interest rates. Lower interest rates are generally considered more positive for homebuyers. Besides interests, loans carry other fees, costs, and even rebates. These total costs of the loan are known as the annual percentage rate, or APR. Knowing the APR of a loan (rather than just the interest rate itself) will allow you to make more informed comparisons about different types of loans. The term of a loan refers to its length. Mortgage terms are typically either 15 or 30 years, and there are pros and cons to each type of mortgage term. Shorter mortgages will reduce the amount of total interest you pay, but they’ll increase your monthly payment. Once you know what you can afford, you can begin what’s really important: finding and moving into a home you love. Share your house hunting stories with us on Twitter and Facebook, or get in touch with us anytime for all your home and mortgage needs. Next Post: Should You Rent or Buy?